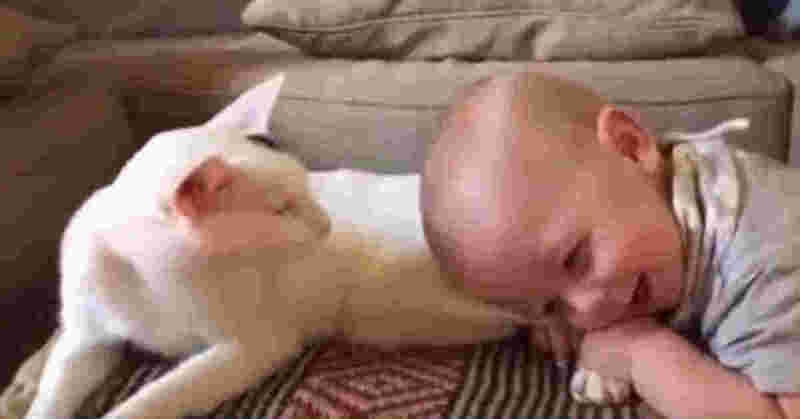 The Baby Pulls On The Cat’s Back Legs. But What The Mother Then Filmed Went Across The Internet Like A Wildfire. Home » Videos » The Baby Pulls On The Cat’s Back Legs. But What The Mother Then Filmed Went Across The Internet Like A Wildfire. Apparently, velvet-haired Lemsie isn’t at all jealous, but instead took the baby straight into her heart. And the baby seemed equally charmed by his first cat encounter!